The fourth annual Fantasy Derby Challenge, presented by WinStar StableMates, kicks off this Friday, February 12. The free handicapping contest follows prominent 3-year-old Thoroughbreds on the road to the Kentucky Derby, and culminates after nine weeks with the Arkansas Derby (G1) at Oaklawn Park on April 16, 2016. To enter the contest, participants have until 12 p.m. (noon) Friday, February 12 to pick a fantasy stable of 12 horses out of 47 horses offered. Contestants will earn “purse winnings” each time one of their horses runs and earns purse money. The winner is determined by the highest earnings total after the Arkansas Derby on April 16. Among the prizes offered this year feature WinStar stallion halters, WinStar stallion apparel, complimentary WinStar StableMates memberships, and table tickets on the 4th floor of Churchill Downs’ Jockey Club Suite for both Kentucky Oaks and Kentucky Derby days. WinStar Farm is one of North America's leading Thoroughbred racing, stallion and breeding operations. 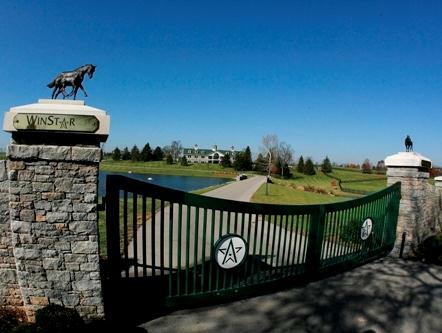 Founded in 2000, WinStar Farm is located in Versailles, Kentucky. The stellar stallion roster includes two-time Breeders’ Cup Classic winner & Horse of the Year Tiznow, Kentucky Derby runner-up & Triple Crown sire Pioneerof the Nile, and 2010 Kentucky Derby winner Super Saver. WinStar StableMates is WinStar Farm’s online, exclusive membership club that provides insider access to WinStar total operation by means of farm cams and weekly updates. It gives horse racing fans a unique way to connect with the sport and with each other, while at the same time increasing their overall experience of the Thoroughbred racing industry.